Your thoughts can make for an amazing life! It is our biggest power. Imagine a world where you could use your mind to bring things into existence. Why not change your thinking for the new year! Simply by thinking the right thoughts, you could practice conscious creation and start getting the things that you want. Does that sound unbelievable or impossible? Well, the truth is that we already live in such a world, and your mind is already attracting the things that you have in your live, good or bad. Let’s create a wonderful future for ourselves! Most people try to deny that they are responsible for the bad things in their lives, but it’s true. The good news is that most of this bad stuff isn’t really their fault. Those two ideas may sound contradictory. After all, how can they be responsible for the bad but have it not be their fault? The answer is that they aren’t aware of what conscious creation is. What this means is that they are attracting everything into their lives (again, good or bad), but they don’t know that they are doing the attracting. Why You Need an Action Plan to Defeat Procrastination! Read This For New Year Push! I can’t do it and I don’t want to do it. I can do it but I don’t want to. I want to do it but I can’t. I can do it and I want to. If you’re honest with yourself, you can probably get started on the fourth type of projects today. If you do, you will have taken the first step toward defeating the monster of procrastination. “Who’s the Boss?” 10 Ways to Start Taking Control of your Life! I am talking time management, goal setting, record tracking! Everyone knows I constantly blog about wellness and the Law of Attraction! You know….your thoughts become things??!! At first glance, it seems that positive thinking and Attention Deficit Disorder (ADD) have nothing to do with one another. But many with ADD develop negative thinking patterns because we become frustrated by our challenges and frequent feelings of being overwhelmed. This negative outlook then makes it even harder for us to manage those challenges and move forward. Practicing positive thinking allows people with ADD (Most of us have it! ) to focus on our strengths and accomplishments, which increases happiness and motivation. This, in turn, allows us to spend more time making progress, and less time feeling down and stuck. Have you ever felt overwhelmed after returning from a dream vacation? Opening emails, snail mail, returning calls, and doing the laundry? As an American, we could potentially spend the rest of your life on vacation and still make a good living, especially if you are an entrepreneur! But the truth is, few of us actually do this. Instead, we work hard, take time off when we can, and then return to work to tell the tales of our adventure to all. So here’s some advice on a smooth transition from cocktails on the beach to the rat race!! Get Your Decorate On This Christmas Season! MY FOYER TABLE! LOVING MY WHIMSICAL FOYER DECOR! Decorating for the Christmas holidays can be a daunting task but the results of my labor are worth the joy on my children’s faces when they see the results! Decorating your home can be fun if you just think outside the box! Since Christmas is right around the corner, check out these ideas sure to delight and spark more of the Holiday spirit! Wreaths, garland, trees and ribbons, ornaments and lights! Oh my! Don’t let stress over Christmas decorating make you lose the Christmas spirit. Check out these chic and stylish ideas! Chic Harvest Decor -Achieving That Look! Pumpkin Time! 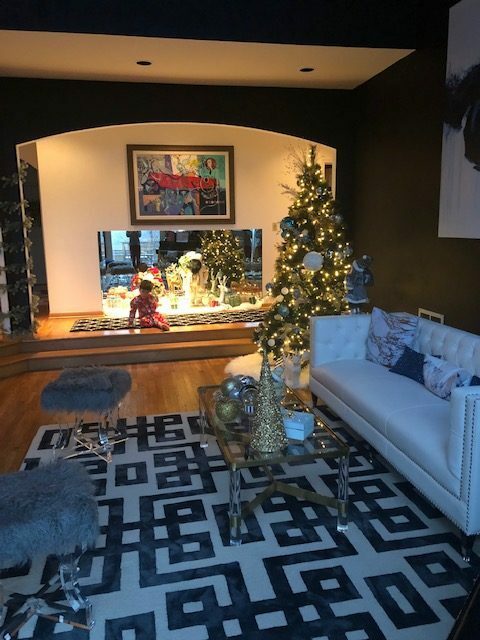 Anybody who knows me will tell you I truly enjoy decorating my home for the holidays and seasons! I rejoice in knowing that soon I get to pull out my cartons of Autumn Harvest and Halloween décor! While my kids do not help decorating at all, they do enjoy my efforts and actually look forward to the change in each room! My rooms are inspiring and create a sense of warmth during this time of year. Check out my inspiring ideas ! Let’s get those pumpkins ready! BE PICKY WITH YOUR CLOTHES, FRIENDS AND TIME.